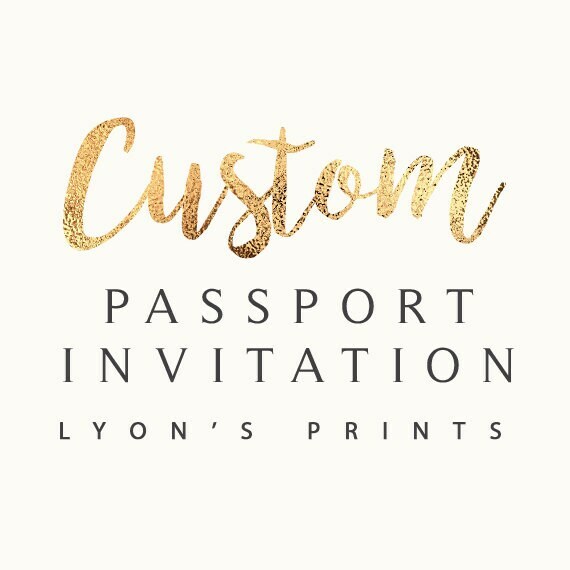 Do you have a cool theme for your event and want a custom passport/boarding pass invitation, but can't find an invitation in our shop? Let us create a custom invitation just for you! Sorry we cannot show you a proof before payment as we do need to charge for our time. You are paying for a new, custom design. 1. Add this listing to your cart, and complete payment. Three revisions included in price, a revision is a change you want us to make. Please do not request that we remove our company website off our designs. It is on there for copyright purposes and will not be removed. We maintain all copyright ownership over our designs, which includes custom designs that were made for you as a work for hire. We hold the right to re-list all of our designs in our shop to re-sell. You are paying for the personal use only rights to print our designs. If you wish to post our designs online or on social media you must include a link back to our shop. Heather is AMAZING! She made my invitation more pretty that I had never imagined. Very fast and professional. Perfect!! !